Be the first to share your favorite memory, photo or story of Dovie. This memorial page is dedicated for family, friends and future generations to celebrate the life of their loved one. Dovie Lois Myers, age 91 of Wewoka, departed this life on Friday, November 9th, 2018 in Shawnee, Ok. She was born August 27, 1927 in Madill, Oklahoma to the late Ralph Gleason and Lucy Chapman Gleason. Preceding Dovie in death are her parents, son Randy Myers, brother Roy Gleason, two sisters Edna Hilterbran, and Joy Gleason. Those left to cherish her memories are husband Johnny Myers of 71 years of the home, daughter Connie Davis and husband Alvin of Piedmont, OK ; daughter-in-law Dawn Myers of Duncan, OK; grandchildren Chris Myers and wife Tammy of Velma, OK, Nicki Mares, of Duncan, OK, Jerod Stidham and wife Genny of Altus, Melissa Arch and husband Nathan of St Paul, MN; sister Carol Elaine "Susie" Eck of Shawnee, OK; one brother Melvin Gleason of Edmond, OK and a host of other relatives and friends. Aaron Alsbrook officiating and burial to follow at Little Cemetery. To send flowers or a remembrance gift to the family of Dovie Myers, please visit our Tribute Store. 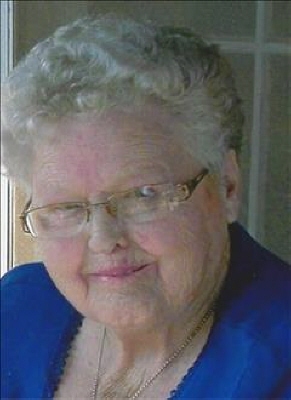 "Email Address" would like to share the life celebration of Dovie Myers. Click on the "link" to go to share a favorite memory or leave a condolence message for the family.